The human skin is the largest organ in the human body. As we grow older, prior neglect or damage to the skin begins to appear in a variety of ways: pigmented or vascular lesions, wrinkles and uneven skin tone. Many of these underlying conditions can be either corrected or deferred through the use of medical grade chemical peels, microdermabrasion, cosmeceuticals and laser treatments. The one truth about skincare is that it is never too early to begin to take care of your skin. Chemical peels, in conjunction with microdermabrasion, is a great starting point to achieving your desire for younger, healthier looking skin – and is still considered to be the “gold standard” amongst Dermatologists. The VI Peel contains a synergistic blend of powerful ingredients suitable for variety skin types. This peel will help improve skin tone, texture, clarity of your skin and provide anti-aging benefits, specifically formulated to rejuvenate and help prevent future damage in the skin. VI Peel Precision Plus is uniquely formulated for treating pigmentation damage in the skin. The Precision Plus is a powerful booster system targeted to treat stubborn pigmentation, including melisma. This booster is added to the VI Peel, creating the ultimate treatment choice for dramatic results. 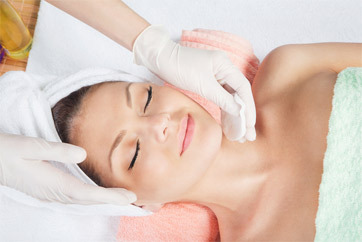 The VI Peel Purify is a highly effective treatment for acne. It contains the original VI Peel formula plus the power of Benzoyl Peroxide, Koyic Acid and Hydrocortisone for superior, consistent results. VI Peel Purify is a targeted solution to tackle active acne prone skin. This enhance Jessner’s formula is for those who want an even skin tone and have no sensitivity to hydroquinone. It will help to quickly lighten pigmentation and discolorations on any kind, such as melasma and actinic damage. In addition, this peel helps inhibit active acne and correct post-inflammatory hyperpigmentation form acne. The most potent of our enhanced Jessner’s formulas, this peel will even skin tone and provide more exfoliation for oilier, thicker and more resilient skin types. It is extremely effective on sun-damaged and thickened skin. It is also excellent for those with active or cystic acne and asphyxiated skin (dry on the surface, oily underneath) or those who require deeper treatment.